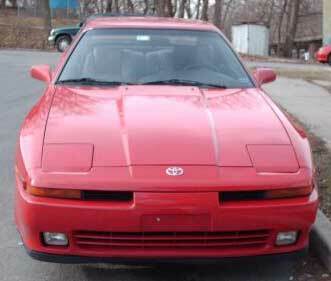 In 1986 Toyota decided to separate the Celica and Supra sports cars. It released a brand new Supra as a 1986.5 model, positioning it more as a supercar with a 3.0 liter naturally aspirated six cylinder engine generating 200 hp. The car still retained the wicked all-independent suspension and four wheel disk brakes from its predecessors. 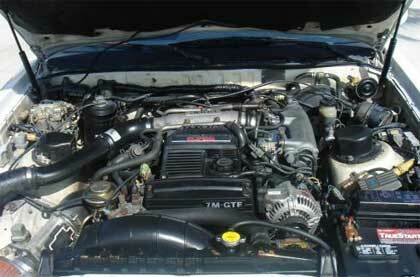 In 1987 Toyota launched its first turbocharged model with the 230 hp Supra Turbo. This additional power took the Supra from being compared to the Camaros and Mustangs of its time, to be put up against the Corvettes. As had been the case before, Toyota added new technology like anti-lock brakes (ABS) and airbags to the Supra and 1986 and 1990 respectively. Special edition Supras were also released to go up against other home-grown Japanese super cars like the Nissan 300Z, Mazda RX-7 and the Nissan Skyline GTR. Engines: 3.0 L DOHC generating between 190-204 hp at 6000 rpm and 185-196 lb torque at 4800 rpm. 3.0 L DOHC turbocharged engine generating 230 hp at 5600 rpm and 240 lb torque at 4000 rpm.